I have a sweet tooth, and do like marshmallows. I’ve always just had the pink and white ones before, and either had them with a hot chocolate in winter or a barbecue in summer. It's not really adventurous but there isn’t a lot you can do with the plain marshmallows you pick up in the supermarket. 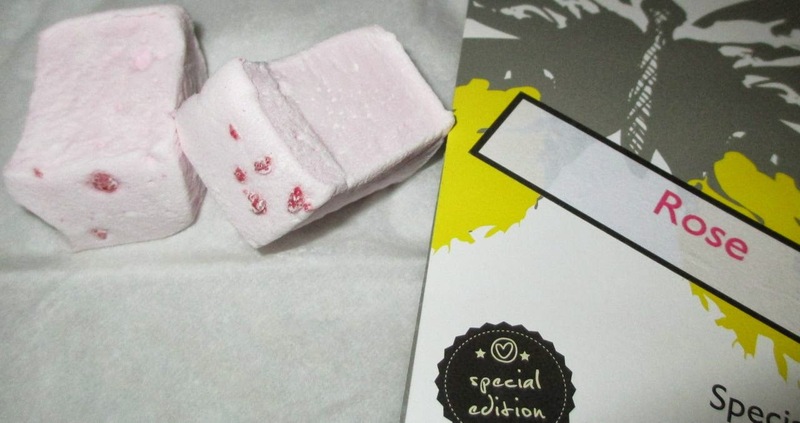 When Belinda Clark got in touch she asked me if I wanted to try her gourmet marshmallows, I said yes, but wasn’t really sure what to expect, some variation on the pink and white I mistakingly thought. Oh my was I wrong. 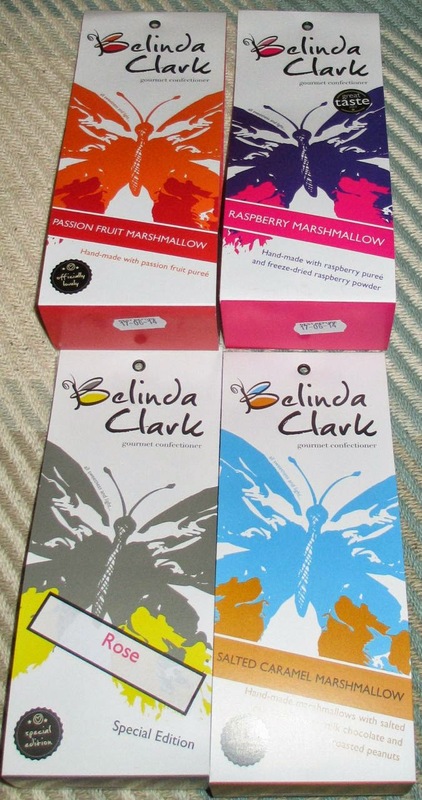 These take marshmallows to the next level, they have interesting flavours and look stunning - I couldn’t wait to get stuck in. She sent me four flavours and some of the Foodstuff Finds team decided to sample them over the weekend as an indulgent treat. First up was rose, these were light pink in colour and were decorated with a darker pink embellishment. The first thing we noted was just how fabulous the texture was, they were soft and light and melted in the mouth. The topping did add a nice bit of crunch but the mallows themselves were just lovely and light. Much nicer that the mass produced slightly chewy marshmallows you get in the shops. The rose flavour was delicate, it was like a mild turkish delight, sweet and deliciously floral. Next up we decided to try out the tropical sounding passion fruit edition. These were a pale yellow in colour, and looked even more fluffy than the rose variety. The aroma once the bag was open was quite strong, and it smelt wonderfully natural and fruity. The taste was sweet, zesty and zingy, sort of citrusy and full of flavour. These turned out to be Spectre’s favourite as they were just so natural and fresh tasting. They really are something a bit different. The raspberry ones looked awesome, they are pink in colour but also coated in pretty dark pink raspberry dust which made them look really appealing. The flavour wasn’t as intense as the colour, but the berry taste came through in a very satisfying way. 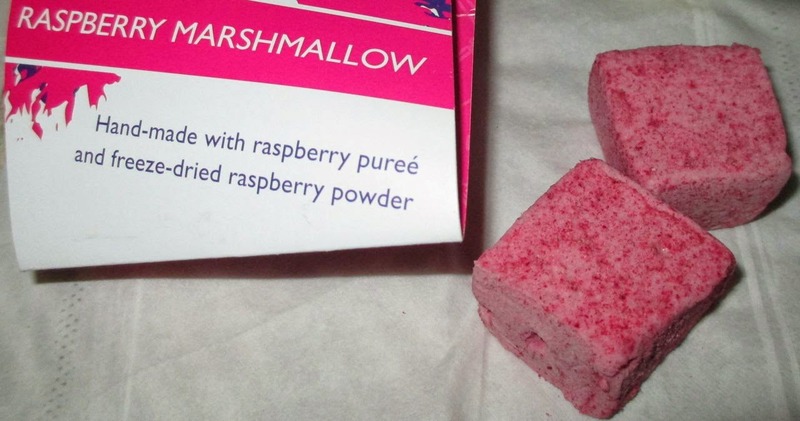 You make think you’ve tried raspberry marshmallows before, but these would show you what can be done! 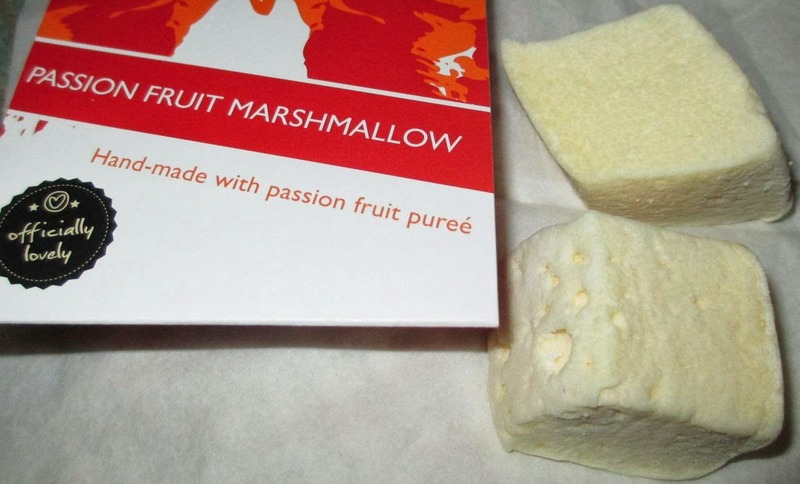 These product have proven that there can be so much more to the marshmallows when compared to the ones we are so used to buying in the shops.The texture is better, the flavours are natural and the concept is genius. No longer would you waste them dipped in hot chocolate or toasted on a barbecue, these are for savouring. These are the kind of sweets that will make you rethink marshmallows, they truly are a gourmet product.